Widely considered one of the best films ever made, there is no lack of information and/or commentary available on Michael Curtiz‘ 1942, classic of classics, Casablanca. We can’t seem to stop watching this film and later, discussing it. 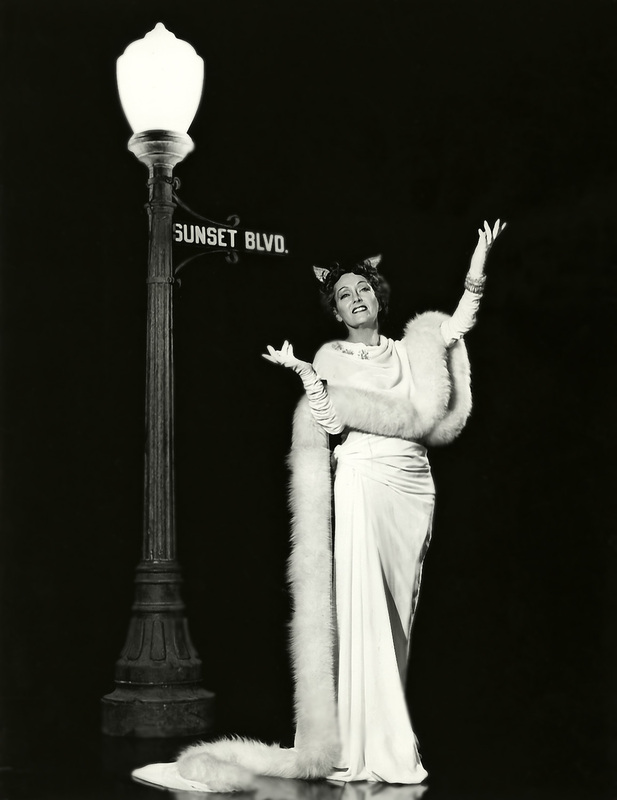 It’s simply a wonder, a miracle of the Hollywood Studio System. That said, here’s another post dedicated to Casablanca. We have here not an original commentary or a new take on an old film. Instead it’s a simple look at the people who represented some of the nationalities that frequented Rick’s Cafe Americain. A post about patriotism and those fabulous personalities. I wish I remembered the specifics as to when I became interested in the idea of patriotism depicted in the film, a theme that is central to the story, no doubt, but that I didn’t always have present as an active thought when I watched the film. Like most classic films fans, I’ve seen the film countless times but front and center was always the love story – or so it was for the first dozen or so times I saw the movie. In my defense, that would have been while I was still very young and impressionable. In any case, it was during one of those viewings – perhaps one of the second dozen – that a curiosity surfaced as to exactly which countries were represented in the film. So, naturally, I made a list, a list I had scribbled on a piece of paper and placed in a box, along with the many movie quotes I’d jotted down since I was about five years old. Anyway, suddenly I decided to post this – an ode to a list that’s an ode to a film. Overview: Before getting into the specifics about what countries are represented in Casablanca I want to focus a bit on the idea of citizenship and patriotism, which, as mentioned above, is a huge part of this film. 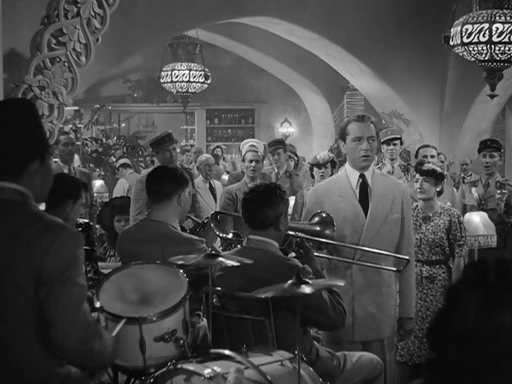 The fact that the characters in Casablanca are often introduced by what nationality they are is important, not only because of what was happening in the world then and the fact that Casablanca is a place where different nationalities converge because they have the same goal of reaching freedom, but also because citizenship does not necessarily stop at any border or man-made barrier. them assimilate in their new homes. Holding on to who you were helps one keep a sense of identity where you’re going. In my opinion it is key that the characters in this film are identified by nationality because patriotism plays such an important role in reference to how people act and what they believe. Examples of this are seen throughout Casablanca. 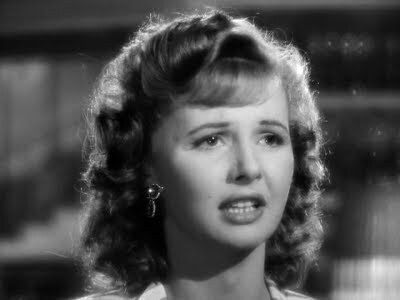 One great example is the character of Yvonne, played by Madeleine Lebeau. 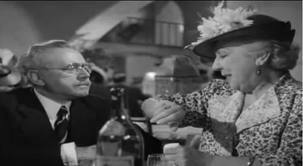 Although this is a relatively small role in the film, in Yvonne we can see just what I am referring to. We see her somewhat as of a party girl in love with Rick but who will switch allegiances on a personal level quite easily. However, as La Marsellaise is sung by everyone at Rick’s in a scene that never fails to move, as the voices, lead by Victor Laszlo drown out the Germans’ voices, Yvonne’s face is one of the ones we see as most affected by her sense of national pride and loss. 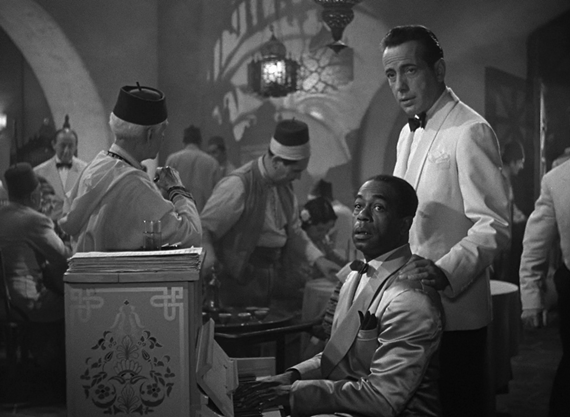 As one other example of the role patriotism plays in Casablanca is the scene when Major Strasser (Conrad Veidt) asks Rick (Humphrey Bogart) what nationality he is and Rick replies, “I’m a drunkard.” This emphasizes the fact that Rick feels he belongs nowhere. Perhaps even that his country has turned its back on him since he is unable to return. There are hints throughout this film that America is seen as oblivious to what is going on in the world at that time, perhaps because, though they were in the war, it was not in their own back yard. When Rick is waiting for Ilsa (Ingrid Bergman) to meet him at the bar after closing he is in turmoil – the iconic, “of all the gin joints…” scene – and wonders what time it is in America at that exact time. He says he bets people are asleep all over America just then. With this he insinuates just this point – that Americans are indeed clueless as to the day-to-day turmoil and fight for survival that the rest of the world was experiencing during that time. Somewhat ironically is the reality that in America at that time in history had national pride as never before (or since). The whole country was willing to sacrifice for the greater good thanks to a President who ensured all communications, all industries and all families had one goal in mind – the war effort. Rick’s Café Americain has been called a mini U.N. – or at least was called this by one of the professors I took film courses with. The reason for this is obvious, the patrons of this establishment represent many countries in the world, and, Rick’s plays the role of neutral shelter, in a sense, where people come to wait for their chance to go on with their lives. The patrons of Rick’s represent a cross-section of the world. Rick’s also represents America, which in turn represents freedom. “Everybody comes to Rick’s” – it is where deals are made and where time is passed. 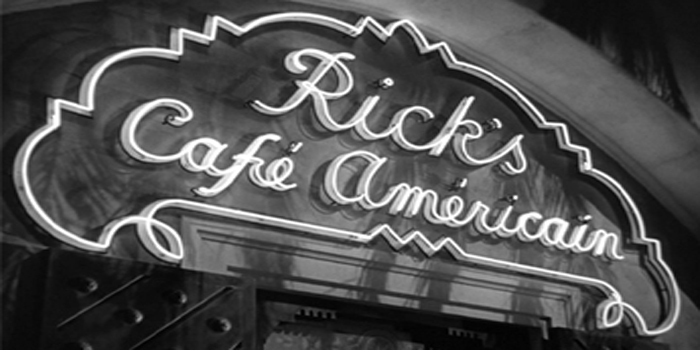 And perhaps another important thing to point out is the fact that although the patrons of Rick’s Café Americain are literally from all over the world – they are more alike than they are different in that their goal, as they go about ordering drinks and singing along with Sam (Dooley Wilson), is to get out of there. 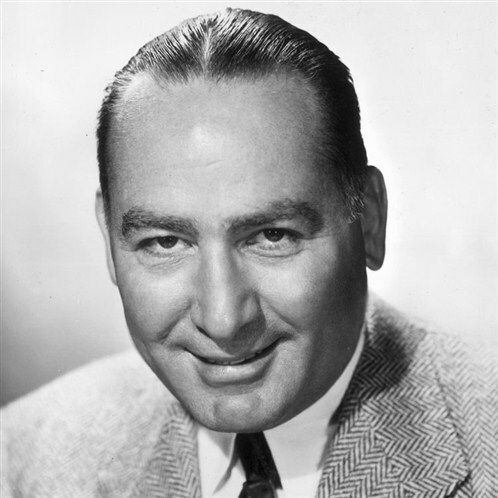 Before advancing to the “on-screen” roll call, a quick but important notation about Warner Bros. Pictures and the film’s producer, Hal B. Wallis. 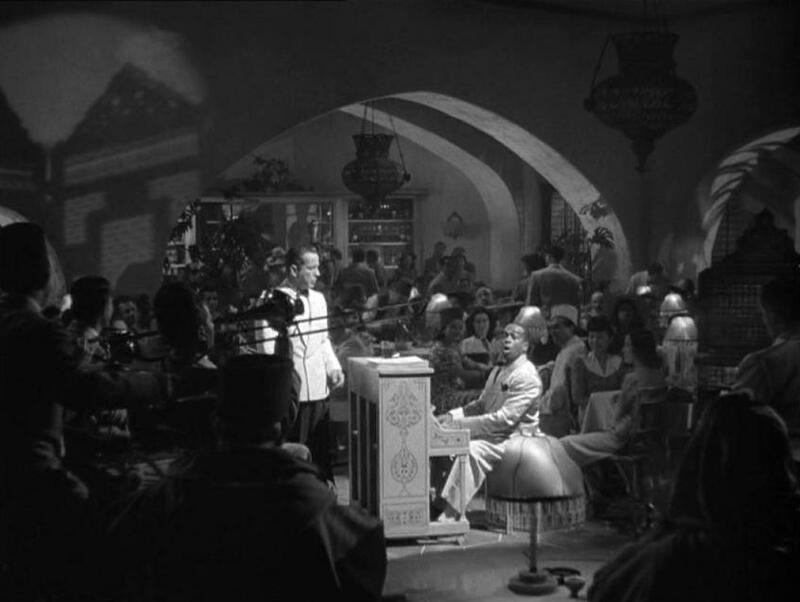 Casablanca not only features an impressive array of nationalities on-screen, as is noted below, the cast, one of the most impressive in film history, is made up of many immigrants who found themselves as part of Hollywood and one of its greatest studios after having been forced to flee Nazi aggression in their countries. 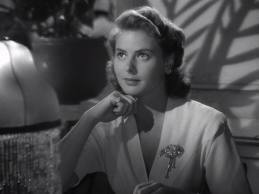 In real life many of the people who make Casablanca so special left their homes to escape almost certain death and/or for the prospect of freedom. To them this post is dedicated. 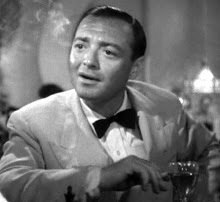 like Ugarte (Peter Lorre) who leaves the letters of transit with him. As the movie progresses, however, we begin to see that Rick actually does care to do the right thing, or at least cares about the difference between right and wrong. We learn that years before Rick had taken a stand when he ran guns to Ethiopia and fought in Spain on the loyalist side – both instances showing that the plight of the underdog was once important to him. Again his neutral stance is betrayed when he helps the Bulgarian couple get their money for their visas, ensuring their self-respect or relationship are not compromised in the process. Finally, we see that the only thing that rattles him and the only thing for which he is willing to admit he indeed does care for is love – although he do so with substantial inner turmoil. We believe he is willing to sell his soul for his one true love, that Ilsa is the only thing he is willing to sacrifice for. 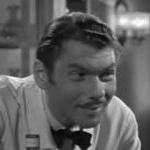 Ultimately though, he too, like Victor Laszlo (Paul Henreid), cannot be bought. He sacrifices all including his freedom and his heart in order to do the right thing for the greater good. He is the hero of this story and I suppose it is no mistake that the hero should be an American. Because of his ultimate unselfish act of giving Ilsa and Laszlo the visas to leave he gives the world a fighting chance against the Nazis. Laszlo must be allowed to play a much more vital role in ensuring the resistance rises and that the word of good is spread throughout the world. Rick saves Laszlo’s life as he would certainly have been murdered had he stayed in Casablanca, he ensures Ilsa goes to a free world and has a chance for a future, acknowledging the important role she plays in Laszlo’s success as a leader. Rick sacrifices his own freedom in order to make this happen. He realizes and makes us all realize that the “problems of three little people don’t amount to a hill of beans in this crazy world.” He looks beyond himself and his happiness and forces us to put things in perspective as well. Although he doesn’t end up with the girl, he takes a definitive stand, does the right thing and ends up the hero. A true “citizen of the world” as Renault refers to him early in the film. And, may I say, that as a fan of this film, the impact of what he does never diminishes, for some reason. Although there is always a small hope in me that the next time I watch Casablanca, Ilsa will not get on that plane. Ilsa Lund – Norwegian – Ilsa is Rick’s love interest and ultimate soft spot. 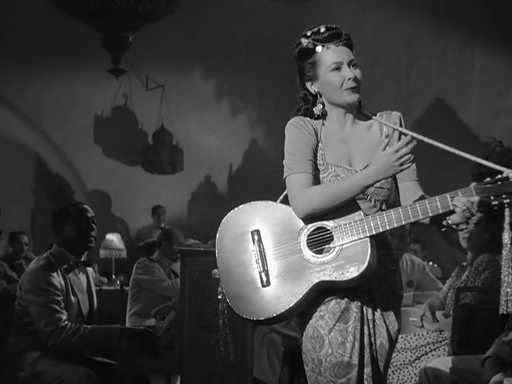 She is in love with Rick but is married to a man whose life and cause she greatly admires and is, in fact, devoted to him until Rick steps back into her life in Casablanca. In the end she is willing to give up the fight for the cause and pursue the course of true love, but Rick thinks for her (as she asks) and she leaves Casablanca knowing it is the right thing to do, even if her heart is not completely in it. With all the intrigue, politics and lives on the line in this film, the relationship between Rick and Ilsa is what I keep coming back to see over and over again. I admit it. The flashbacks of their romantic times in Paris show us a new, softer side to Rick. The cynical, somewhat bitter man in present day Casablanca is a fool in love in another time and place. Perhaps he is not as untouchable as he preaches and is actually moved by his surroundings and the happenings of the world. And because of Ilsa Rick’s character, who is the one that changes and has the arc in this story, is able to make the decisions that affect the world. Once he realizes she has always loved him he is able to give her up for that greater good. freedom or his wife. He’s been through hell as he was in a concentration camp but doesn’t lose his will to fight for his cause. He knows a lot of people’s lives and futures depend on his continuing to fight and stand for the people who really count. Ultimately we see he is not a victim but a very powerful man, illustrated by the scene where he asks the band to play La Marsellaise. All the patrons who are going about their business of waiting, waiting, waiting stand and let their true feelings known in that moment, showing Laszlo is hardly alone and that his cause is a worthy one that still has a chance. 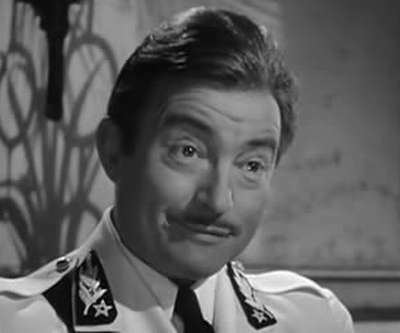 Captain Louis Renault – French – (Played by Claude Rains) Renault is the ultimate user of people and situations. He’s a corrupt official who has no allegiance to anyone or any cause. Whoever is in power is the one he will back as that person (or group) would have the most to offer him. He is the self-proclaimed “master of his own fate” who knows who to get into bed with. Despite all these things, however, it is nearly impossible not to like him. Mostly because he is so up front about himself and his shortcomings. He is blatant about the fact that he is a low-life. When Strasser asks him what side he’s on he replies “I have no conviction, I blow with the wind” and when Rick is holding a gun to him and tells him to call the airport to prepare the plane to take Laszlo and Ilsa to Lisbon Rick says “Remember, I have this gun aimed straight at your heart” Renault replies “That’s my least vulnerable spot.” It’s hard to dislike a man who’s that honest. Of course, in the end he does stand up for Rick and doesn’t give him up to the authorities when they ask who shot Strasser. Renault is a likeable character despite all that’s detestable about him. 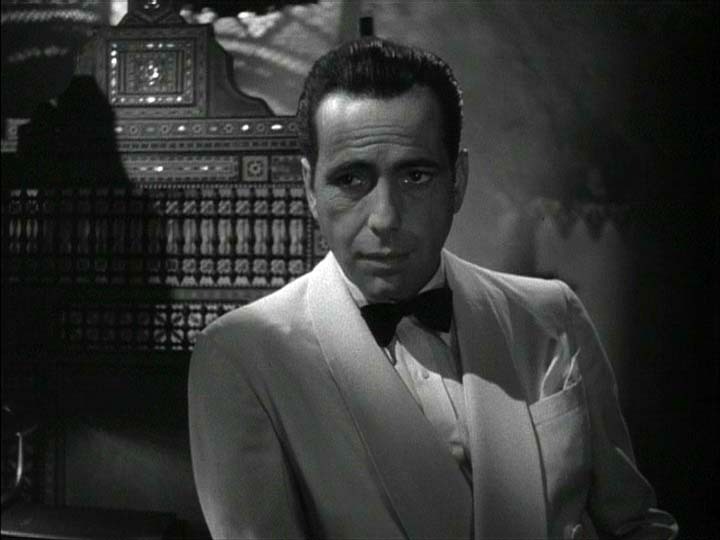 I think it interesting that several of the “bad” characters in Casablanca are not necessarily evil, with the obvious exception of Nazis. That’s very interesting. Mostly, I guess, the characters, like Renault to a degree, make the best of bad situations – survive in a strange world and in strange circumstances. Well, OK, that may be an excuse I’m making for this particular man. I’m in love with Capt. Louis Renault you see. It’s beyond my control. Major Strasser – German – A soldier of the Third Reich, Strasser is in Casablanca to ensure Victor Laszlo never leaves. Just like Laszlo, Strasser is also consumed by a cause, except in this case the cause is the wrong one. Horribly wrong. Human beings mean nothing to him and his kind, what means something is power. 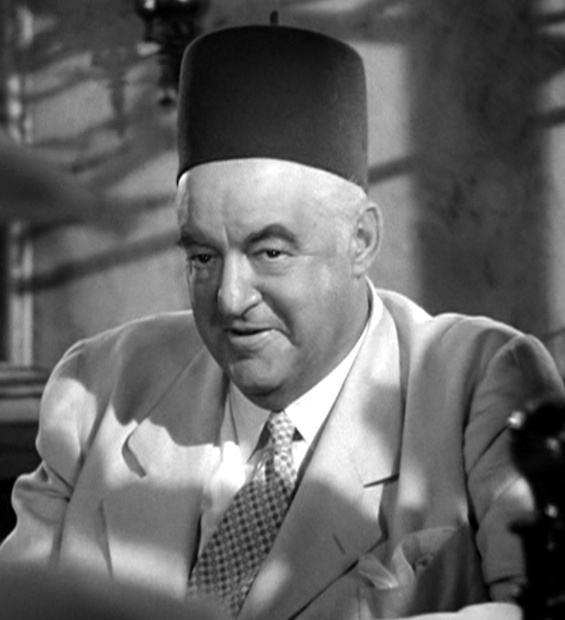 He represents the Nazi menace that was taking over the world and is their representative in Casablanca. 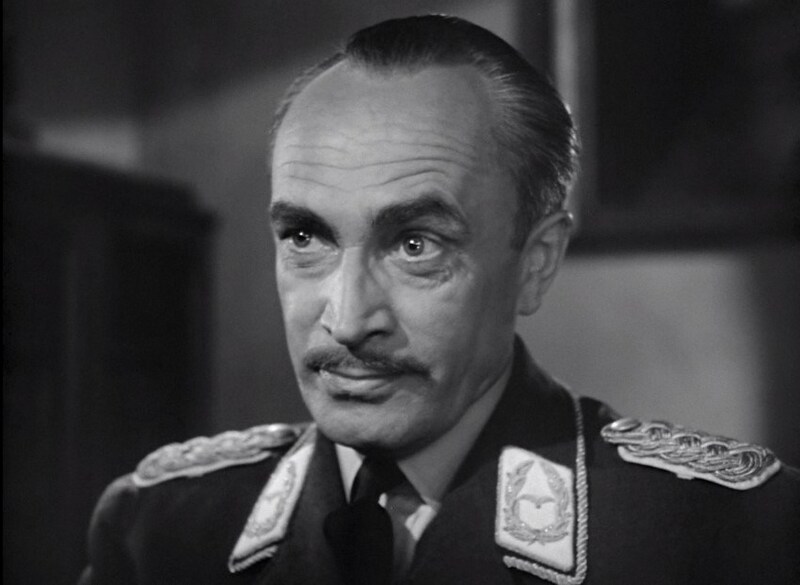 In real life, Conrad Veidt was one of the many actors in Casablanca who had to flee Nazi Germany. His wife was Jewish and they fled before either his wife or himself was arrested. Signor Ferrari – Italian – Ferrari owns an establishment in Casablanca, The Blue Parrot, that is not quite as upscale or classy as Rick’s. He wants to buy Rick’s place and ultimately Rick does sell it to him when he plans to leave. Ferrari also controls the black market in Casablanca and can get his hands on almost anything, for a price. He says that the leading commodity in Casablanca is human beings. Human life is cheap and easily exploited, often sold for liquor. 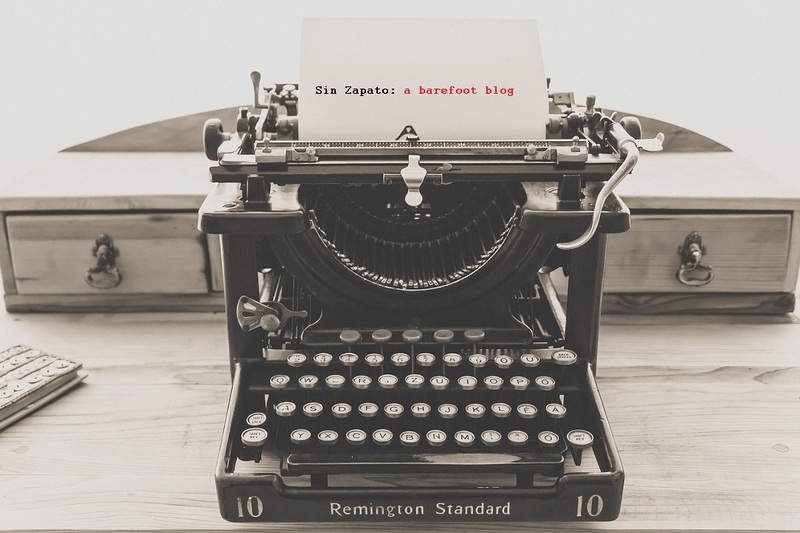 Deep down, however, Ferrari is a decent man – he is the one who tells Laszlo and Ilsa that he suspects Rick has the letters of transit that can get them out of Casablanca and Rick would not have entrusted his friends who work for him to anyone. Ugarte – Spanish – Ugarte is a spineless weasel. He’s a lower-level Renault who bribes and cheats at every opportunity. He is not respected by anyone, including Rick who respects him only after he finds out Ugarte is the one who killed the German couriers and obtains their exit visas to give to Laszlo. But we know that Ugarte would only have done that for money and not because any cause was of importance to him. 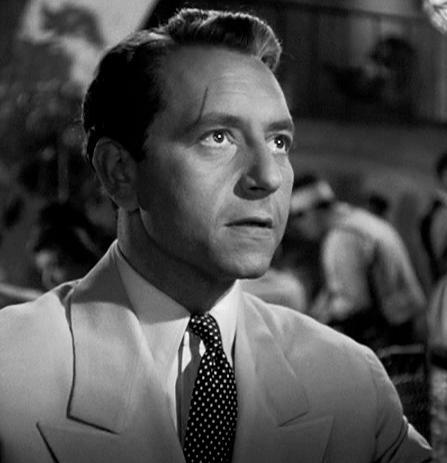 Ugarte plays the role of courier in the film to get the letters to Rick so now Rick is central to the plot and vital to the outcome of the other main characters – the letters also give Rick plenty of power. Ugarte is also instrumental in showing how little human life is worth as he is killed and everyone knows and no one bats an eye. 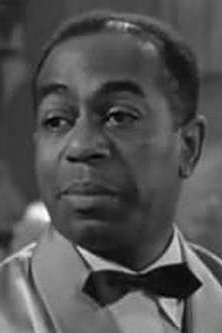 Carl – Austrian – Carl is one of my favorite characters in Casablanca and he supplies much of the comic relief in the film. He is the manager or host of Rick’s Café Americain and is obviously well liked by everyone. He is a member of the underground resistance as he attends the meeting that Laszlo is to speak at, so Carl does take a stand and is not just along for the ride. He loves and respects Rick and shows pride when Rick helps the Bulgarian couple. 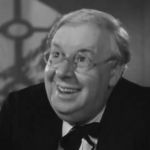 Carl is played by the great, S. Z. Sakall (billed incorrectly as S. K. Sakall in the credits). Yvonne – French – Yvonne plays a scorned past lover of Rick’s. She seems to be in love with him and turns into a party girl who switches personal alliances at the drop of a hat. This aspect of her shows her to be a somewhat superficial woman, but as I mentioned above, when time comes to show patriotism while singing the French Anthem hers is one of the loudest voices and one of the more pained faces. Perhaps through her we see that each person here has a real story and real feelings and reason to suffer. No one is in Casablanca for just a good time – but they each do what they must to survive. Sam – American – Rick’s Café Americain’s entertainer and Rick’s best friend, supporter and confidant – his most loyal and true relationship. Sam is the only person Rick really likes since the beginning. A true friend to Rick and the only person Rick still has around from his past. He cares for Rick and tries to protect his feelings when Ilsa comes back into the picture. Annina Brandel – Bulgarian – (played by Joy Page) Mrs. Brandel plays an important role in this film in that through her troubles we see Rick as a true sentimentalist, as Capt. Renault says. She is recently married, a young girl who is in Casablanca with her new husband trying to get to freedom just like everyone else. She is innocent and falls into the hands of Renault who offers her the valuable exit visas in return for her innocence. Rick saves her and her marriage by ensuring that her husband wins enough money for the visa at the Roulette table. I believe that through this character , Rick realizes that there is something left in the world that is innocent and pure – even if he probably thinks it won’t last long. He does his part to preserve what part of it he can. Jan Brandel – Bulgarian – (played by Helmut Dantine, uncredited) This character doesn’t play as important a role as his wife but he is the one who tries to win the visa money at the roulette table, perhaps still believing in luck. As if luck had anything to do with getting out of Casablanca. His wife does tell Rick that in many ways she is much more mature than he is and this may be one way this fact is illustrated. He is naïve enough to still believe. Berger – Norwegian – (played by John Qualen) Berger is a member of the underground resistance in Casablanca. He approaches Laszlo with the pretext to sell him a ring, which Laszlo refuses. But when he shows Laszlo the ring we see the cross that is a sign of unity for the resistance. 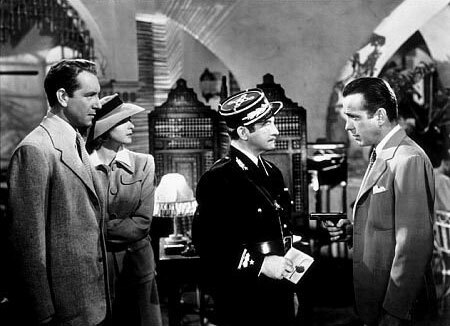 He pledges allegiance to the cause and informs Laszlo about what happened to Ugarte, about the underground meetings and that the resistance is alive and kicking in Casablanca despite the dangers. Sascha – Russian – (played by Leonid Kinskey) Sascha is the bartender at Rick’s. Also lends some of the comic relief in the movie and is further proof that Rick is very fair to and appreciated by his employees. Sascha goes up to Rick and actually kisses him after Carl informs him of what Rick did to help the Bulgarian couple. Emotions an American would never demonstrate, by the way. 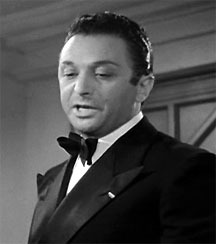 Emil – French – Played by Marcel Dalio, uncredited) Emil is Rick’s manager at the Roulette table, which is officially titled a “croupier.” Who knew? Anyway, Emil “ensures” Rick doesn’t lose money at the tables but does as the boss says and so makes sure Mr. Brandel wins the money for the exit visas. Singer – Spanish/Mexican – (played by Corinna Mura, uncredited) This lady is one of the entertainers at Rick’s Café. She sings and plays the guitar. We see her join in on the singing of La Marsellaise and she has one of the loudest voices. Again, showing that she too is there for a reason and is part of the cause and against the Nazis. Mr. and Mrs. Leuchtag – German – (played by Ilka Gruning and Ludwig Stossel, uncredited) This couple is important because they are German but are against the Nazis. It’s important to remind people that not all Germans were Nazis. Just like everyone else, the Leuchtags are in Casablanca awaiting exit to a new life. They announce to Carl, who they invite to join them for a Brandy in celebration of America, “To America!” they toast as they’ve gotten their exit visas for the next day and wish to celebrate with their friend. They also tell him they plan to speak only English from now on in order to be prepared for when they get to their new home. The husband then turns to the wife and a very funny, casual exchange takes place – “what watch?” “ten watch,” “such much” – translation, “what time is it? / ten o’clock / So late?” Carl then announces they’ll fit right in when they get to America. I just love it. And them. Dark European – European – I believe this is the pick-pocket seen throughout the film. He keeps saying there are “vultures, vultures everywhere” and, of course, he’s the best example. He may well represent the number of people who are out for themselves and will take advantage when they can. I love the scene when he bumps into Carl at Rick’s and when Carl realizes who he is he quickly checks for his belongings to make sure everything is accounted for. Another example of how “everybody” comes to Rick’s, from leaders of grand causes to petty thieves. 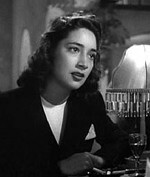 There are many other nationalities depicted in Casablanca in smaller roles visible throughout the happenings at Rick’s. Most of those roles are uncredited but I want to just make a note that each and every role in this, no matter how small, lends a “feeling” to the film that has never been replicated. Each actor making this perhaps the one to remember. Although I wouldn’t want to ever be in a situation where I am forbidden to leave anywhere, I certainly would not have minded spending a few nights at Rick’s with some of these people. 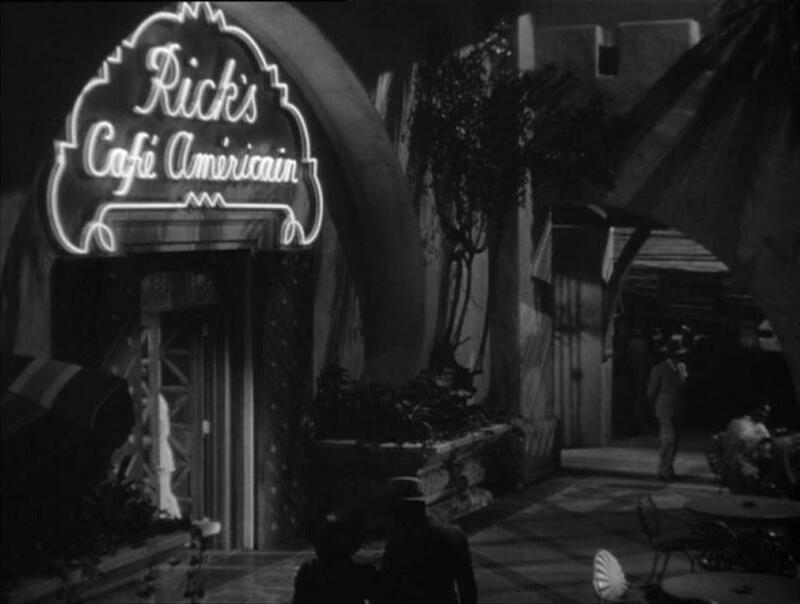 My latest visit to Rick’s is now concluded – a dedication to all those countries and those characters, which make Casablanca the rich, layered film experience it is. For far beyond its entertainment value, far beyond its place in Hollywood lore, far beyond the presence and popularity of its mega-stars, Casablanca remains (arguably) the greatest testament to a fast-paced, system of exploitation and production gone terribly right. 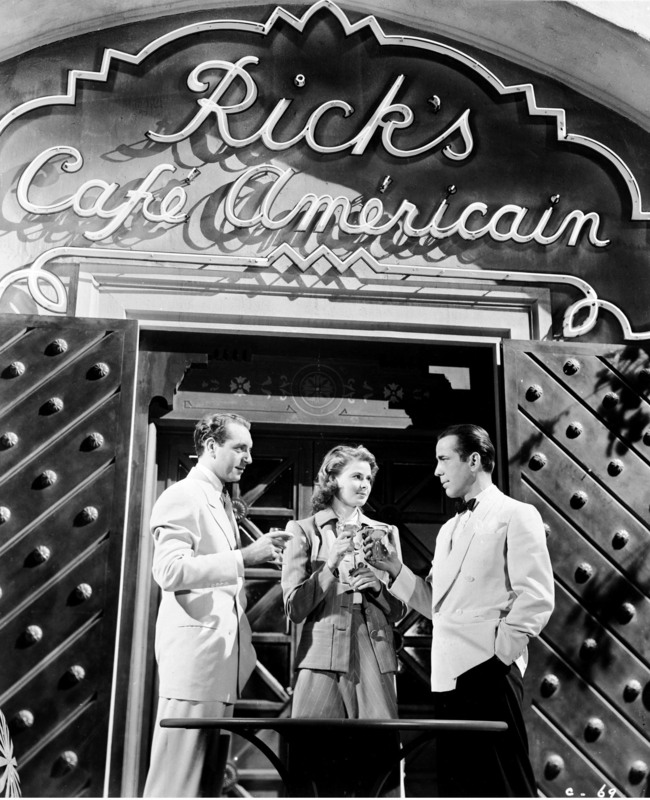 All the stars aligned for Casablanca and lightning struck at Rick’s. I’m sure this is not the last time I’ll make reference to that. More of Rick’s…until next time. This is the beginning of a beautiful friendship. This is an incredibly well written essay. Like you I have seen this film so many times it seems as if it is part of my soul. I imagine you have read the film script and the play which the film was based on. Gracias for writing this amiga. P.S. I think you underestimate yourself as a writer. You claim “no special expertise” but when I read your writing I not only feel passion, love and expertise. Thank you so much for your lovely comments! I’m glad you liked this. I’ve read the script but not the play. MUST make a note to do so, actually. If passion comes through in these posts it is from my love of these films and movie stars. I’m glad it does because it does come from a place that’s real. But I’m only a fan. Again, just lovely and THANK YOU! Thanks for the wonderful write up on one of everyone’s (I hope!) favorite movies. Curt Bois played the “dark European” pickpocket – he was a very famous and popular performer in pre-Nazi Germany and elsewhere in Europe. The Berlin film museum (http://bit.ly/10mEdlt) has a wonderful exhibit on European actors and fil people forced into exile when the Nazis came to power. 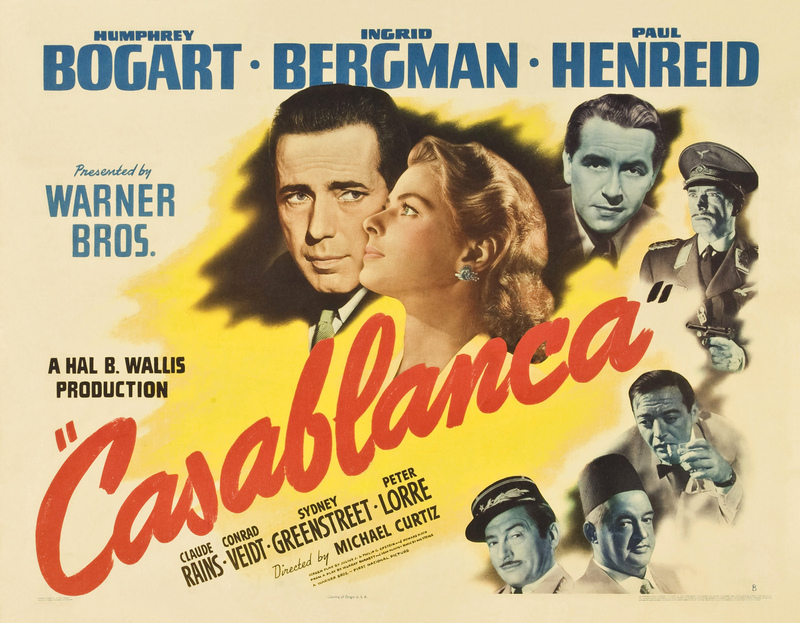 There is a special section all about “Casablanca”, and how it featured so many faces and names familiar to the pre-1933 European moviegoing public. Some of the people in “Casablanca” – even though uncredited – were big stars in Europe, many were also connected with Max Reinhardt. The museum has a fascinating – and heartbreaking – account of how those already in Hollywood tried to get their colleagues out of Europe through financial support, ransom, influence etc. Paul Kohner, an influential agent, started the European Relief Fund. They have exhibits of fund documents showing the support and contributions of Billy Wilder, William Wellman, Michael Curtiz etc. They have the immigration papers of S.Z. Sakall and his wife. And they (very sadly) tell the story of Kurt Gerron, an actor who appeared in “Der Blaue Engel” with Marlene Dietrich, who waited too long to get out of Europe, fled to Holland, was captured by the Nazis and placed in Theresienstadt. He was forced to direct a notorious propaganda film, “The Führer Build The Jews A City”, immediately after which he and his wife were deported to Auschwitz and gassed upon arrival. (http://www.imdb.com/title/tt0194445) The Hollywood exile group tried desperately to get Gerron out and their vain efforts are documented. The back stories about “Casablanca” go on and on, and they more you know, the more fascinating it becomes as not only a story about a movie, but about courage offscreen as well as onscreen. If you are ever in Germany – or plan to be – the Berlin Film Museum is a must-see for this and many other reasons. I’m glad you liked this and thanks so much for all that wonderful information. I will be sure to look at the Berlin Museum link. What a great post. I never really thought about all the nationalities represented in this as completely as you have. This is my favorite sentence: “Most of those roles are uncredited but I want to just make a note that each and every role in this, no matter how small, lends a “feeling” to the film that has never been replicated.” Seriously…never! What other movie have I watched as many times? I’m up to probably 10 or more. Also, thanks for the link love Aurora. This is one of the reasons I love Casablanca so much – the patriotism really drives the plot and the actors (many of whom had fled Europe, as you’ve pointed out) add authenticity to the movie. You’re right, one of the reasons. The film is so layered. But I do love this aspect of it – all those wonderful characters. It is a great article and circa the 70th birthday of Casablanca I needed nothing more to shop for the Blu-Ray of the film! Thanks! I got the bluray set commemorating the anniversary and it’s gorgeous! Thanks for this excellent essay, Aurora! I’m sure you are familiar with Aljean Harmetz’s Round Up the Usual Suspects, which has a fantastic chapter on the refugees in the cast and their stories… It’s still one of my all-time favorite books on film. I have been telling myself all day that I won’t watch it tonight (again, for the 40th time) but as 8pm draws nigh I realize I will, and that I will have a wonderful time. Again. Thanks, Lesley. I am familiar with Harmetz’s book but haven’t read it. I feel just as you do. I’ve seen this movie a gazillion times but it simply doesn’t get old. Have three different copies of it, different special editions after giving away two because I felt like a hoarder. YET, I can’t skip it when it’s on TCM. It’s an illness.